Mudheads, or clowns, are prevalent in many Pueblo ceremonies. 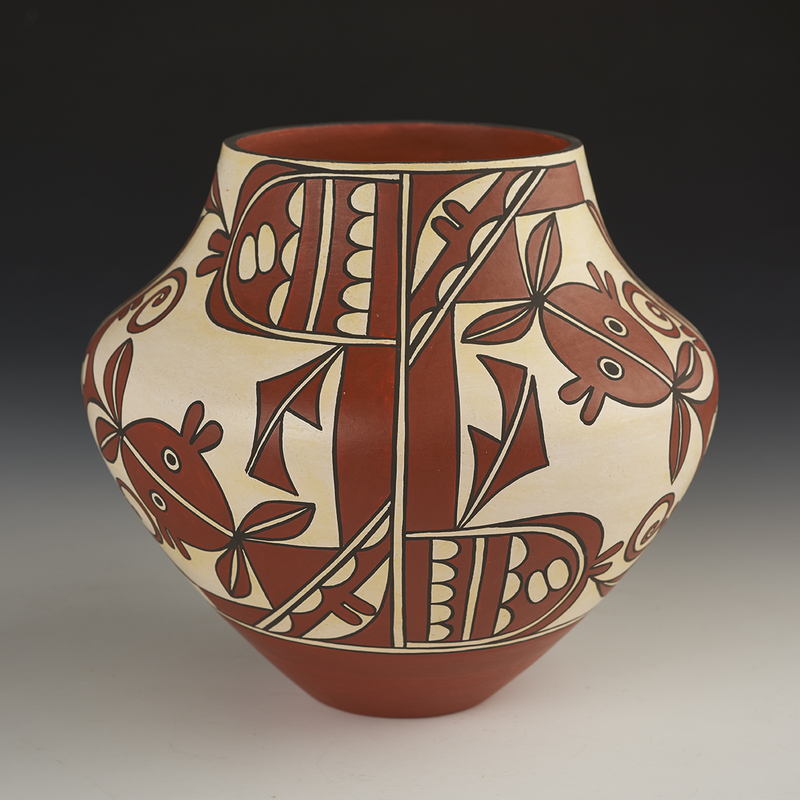 This bold and marvelous painted design work is repeated on each half of the jar. It is an outstanding example of their joint efforts. The designs are very well balanced and executed. This pot was made in 2002. 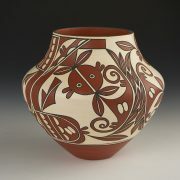 Barbara was born in 1951 and is half Hopi heritage. 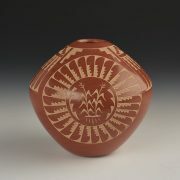 She was introduced to the craft by her Acoma mother-in-law, Santana Cimmeron Cerno. She refined her art by consulting with her Hopi relatives and friends and adapting some of their methods to the fine Acoma clays. Joseph was born in 1947 into the Acoma Pueblo. He was exposed to art at a very young age by his mother and grandmother. It was from them that Joseph took an interest in ancient designs and forms. This couple are among some of the finest potters working today. 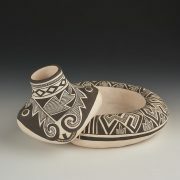 Their clay is gathered within the Acoma Pueblo grounds. They use all traditional materials and techniques. They clean, mix, coil, shape, sand, paint, and fire the pottery outdoors, just like their ancestors. They have studied the ancient pottery shards found within the many ruins in their Pueblo, so that they keep within the traditional styles of their ancestors. Joseph forms the thin-walled pots after aging the handmade clay for a minimum of 6 months. The pots then dry for several months more before they are fired in a hand-dug pit. Barbara does the flawless painting, using natural mineral and vegetal colors. 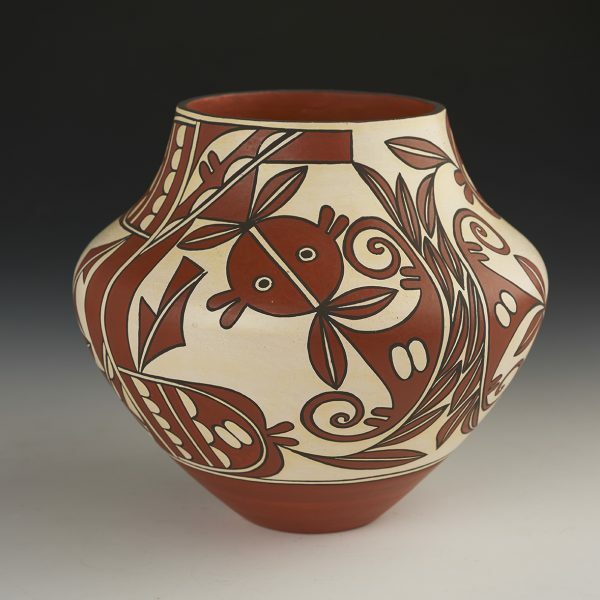 They have won numerous awards at the Santa Fe Indian Market, the New Mexico State fair and on many other occasions.